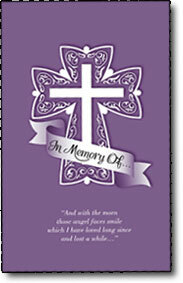 The "In Memory Of..." prayer booklet offers prayers for the eternal rest and joy of those who have passed. We hope it will be a source of comfort to you. Please fill out the order form below to receive a complimentary copy of the prayer booklet - In Memory Of… Help spread the Good News of the Gospel and show continuing support for the work of Columban missionaries.